A dream. It was dark inside my grandmother's apartment. She loves animals but my grandfather wouldn't allow any pets inside. They make mess he said. So she bought clean, miniature baby bunnies inside little 5cm diameter jars. They all smelt very nice, because she sprayed them with perfume. Each had a different colour and smell, like a collection of jelly beans. 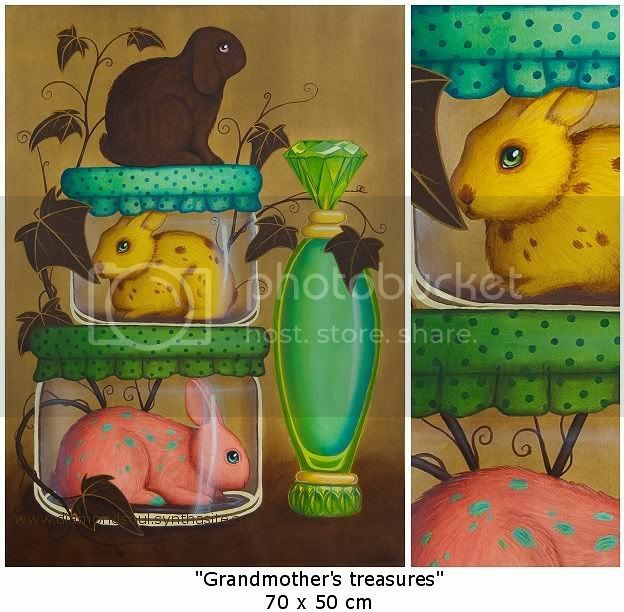 When grandfather wasn't around she'd let some of them out of their jars for a while. I liked the chocolate bunny most. It was curious and friendly.